The meeting of the Armenian-American inter-governmental group will take place after snap parliamentary elections in Armenia, more probably in February, George Kent, U.S. Deputy Assistant Secretary of State for European and Eurasian Affairs, told the reporters on Tuesday in Yerevan. 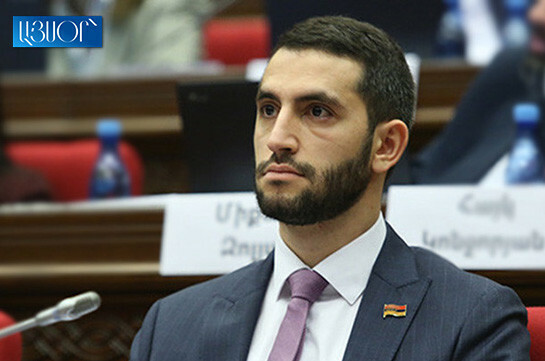 He said the group is the main platform for dialogue between Armenia and the United States and stressed that it will discuss the new phase in Armenian-U.S. relations. 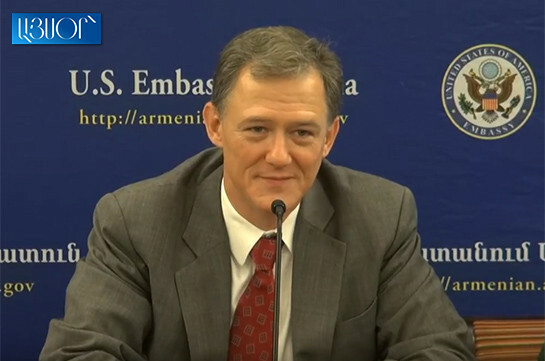 “The U.S. foreign assistance to Armenia has grown, and we are ready to work with Armenia. The agenda is Armenia’s. We are ready to make investments, to assist in many issues like for instance fighting against corruption. We have a big experience in this sphere. We worked with Georgia, Ukraine and in case of necessity we are ready to work with Armenia as well,” Kent said. Speaking about U.S. investments in Armenia, the U.S. State Department official said that a meeting has already taken place today in Armenian-American Trade Chamber during which challenges of the economic sphere have been discussed. “There is a big investment opportunity which is currently being reviewed. We strictly highlight the respect toward agreements. It will be an impetus for the investors to make investments, create jobs in Armenia for the people to be able to work decently in their country,” Kent stressed.